Advanced practice nurses, particularly nurse practitioners, improve the delivery of health care services in an overburdened system. Aging baby boomers with a complexity of health concerns, raise demand for health care services. APNs provide effective health care services, not unlike that of a primary care physician, at an affordable rate and without loss of patient satisfaction – when compared to a physician’s services. They function throughout the health care systems in roles traditionally reserved for physicians, bringing life-saving care to populations in underserved areas. Known collectively as advanced practice nurses, there are four primary roles in which these specially trained nurses function: nurse practitioners (NPs), certified registered nurse anesthetists (CRNAs), certified nurse midwives (CNMs) and clinical nurse specialists (CNSs). The DNP degree is the highest degree you can learn in clinical nursing. Its aim is to produce a better-prepared nursing workforce, producing clinicians who understand the complexities of health care, such as the special needs of an aging population and patient safety. In Wisconsin, a master’s degree in nursing is the minimum requirement for advanced practice. However, the American Association of Colleges of Nursing recommends the doctor of nursing as the minimum educational preparation for advanced practice, which places an APN’s preparation at a level that’s similar to that of pharmacists, physical therapists, and audiologists. In the state, hospital positions for APNs have the highest vacancy rate at 9.7 percent. According to a WHA re-licensure survey, there were approximately 8,000 nurses qualified to practice at the advanced level or serve as nurse faculty or nurse leaders in hospitals and other medical institutions. The majority of nurses qualified to practice at this level are nurse practitioners. Whatever the specialty or population focus, there is growing employment for nurses in advanced practice roles. They work in urgent care, emergency rooms, and specialty nursing units. DNP-prepared nurses are essential to the delivery of health care in medically underserved areas. The aging population, in particular, with its plethora of complex issues will increase the need for APNs and a host of other health care professionals. As the population ages and more residents gain access to care under the Affordable Care Act, there will be a need for qualified health care professionals to care for populations in the rural and inner cities. DNP nurses have the training and clinical skills to care for patients in need. The previous decades have brought rapid changes in science and technology, changing the delivery of care in numerous ways. DNP graduates have the training to stay on top of the changes and challenges in patient care and take a frontline in medical leadership, best practices, advanced technology, and evidenced-based practice. For this reason, they are positioned to deliver the best possible care to patients, families, and communities. The doctorate enables nurses to practice at the highest level of nursing. 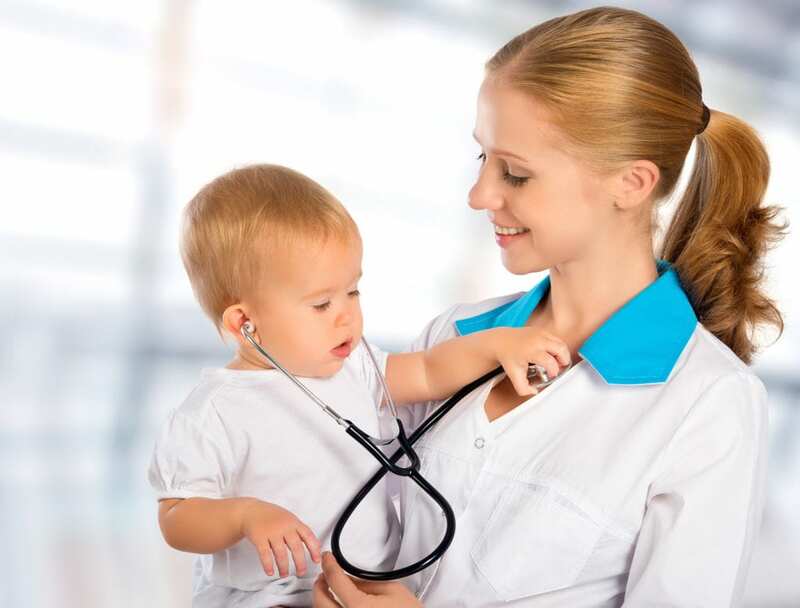 The AACN-developed degree was established to produce nurses for specialist roles, such as nurse practitioner, nurse anesthetist, nurse-midwife, and clinical nurse specialists. In Wisconsin, the majority of practicing APNs do so on the merit of a master’s degree. However, the goal is to replace the MSN with the DNP for entry into advanced practice roles. DNP programs produce the future generation of nursing faculty to fill vacant positions at the state’s colleges and universities. Prospective DNPs may not complete the program to become a nurse educator. However, 20 to 35 percent of graduates work in part-time or full-time positions to prepare the next generation of nurses. Sitting at the top of the career ladder, DNPs earn the highest salaries. Nurse practitioners earn an average base salary of $88,140 annually or $93,800 with benefits and bonuses. The salary is approximately $7,600 more than the average salary for nurse practitioners with a master’s degree. Apart from salary, DNP graduates receive first consideration for nurse leadership and nurse educator roles. The degree gives them negotiating power to command higher salaries, benefits, and bonuses. DNP graduates can demonstrate advanced evidence-based care management, apply analytical processes to evaluate and monitor patients, and demonstrate leadership skills. There are two paths to enrolling in the program. Registered nurses with a baccalaureate degree in nursing can enroll in the post-baccalaureate program while those with master’s degree in nursing can enroll in the post-master’s program. The AACN’s recommended 1,000 hours of supervised clinical practice will be a key part of the training as it will give students the opportunity to demonstrate the highest level of independent advanced practice. The practical experience also contributes to the achievement of the program’s outcomes. The post-baccalaureate program covers the master’s courses in addition to the courses required to meet the doctoral level of study for APNs. For some programs, students will have the opportunity to earn an MSN degree en route to the doctoral degree. Graduates are eligible to sit the certification exam in their area of specialty. The post-baccalaureate D.N.P. requires completion of 63 to 69 credits including the master’s courses. A completed application to the school and program. Documentation of completing a baccalaureate degree from an accredited program. Official transcripts from all previous colleges. Background check and health requirements. The post-master’s DNP builds upon the foundation established in the master’s program. Courses completed in an accredited master’s program will be evaluated for transferability on a case-by-case basis. Although post-masters students can expect to meet the doctoral requirements in 31 to 33 credits, additional coursework may be required to meet the doctoral essentials for advanced practice. Documentation of graduating from an accredited master’s degree program. Official transcripts of all college/university courses. Background check and health screening.